Commonwealth Games Silver medallist Sarah-Jane Perry and former World No.1 Laura Massaro are seeded to meet in the final of the AJ Bell British National Squash Championships 2019 in Nottingham next week. World No.6 Perry will face a qualifier in round one, with a potential semi-final meeting against four-time National champion Alison Waters, in what would be a repeat of last year’s semi in which Waters prevailed, avenging her 2015 last four defeat. 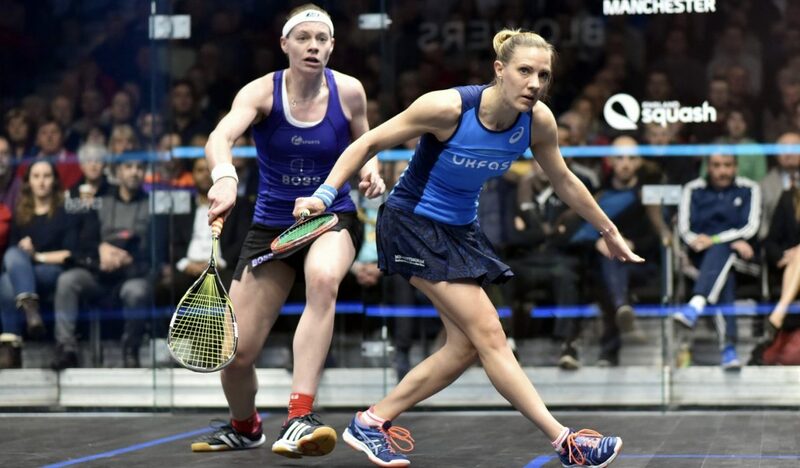 On the opposite side of the draw, former World Champion Massaro will begin her campaign against a qualifier, and if all goes to seeding, will face defending champion Tesni Evans in a semi-final showdown – a repeat of last year which saw the Welsh No.1 triumph in straight games. Evans is in fine form, having reached the final of the Cleveland Classic in America. She overcame England’s Victoria Lust in the semi-finals in Cleveland and the two players are in the same quarter of the draw in Nottingham. Also competing are Emily Whitlock and Millie Tomlinson, predicted to meet Waters and Massaro respectively in the quarter-finals. 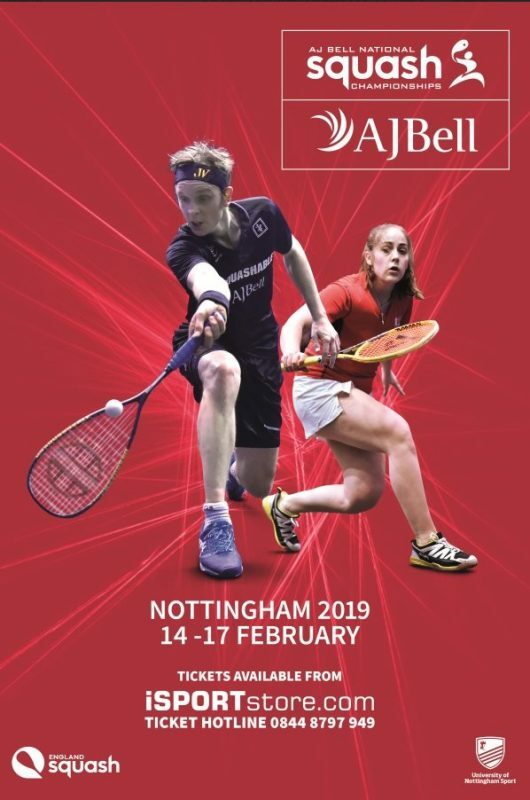 Qualifying round take place between 12th and 13th February at Nottingham Squash Rackets Club with round one commencing on Thursday 14th February at the qualification venue and the University of Nottingham. Tickets to the Nationals can be booked via iSPORTstore.com and start from as little as £10. 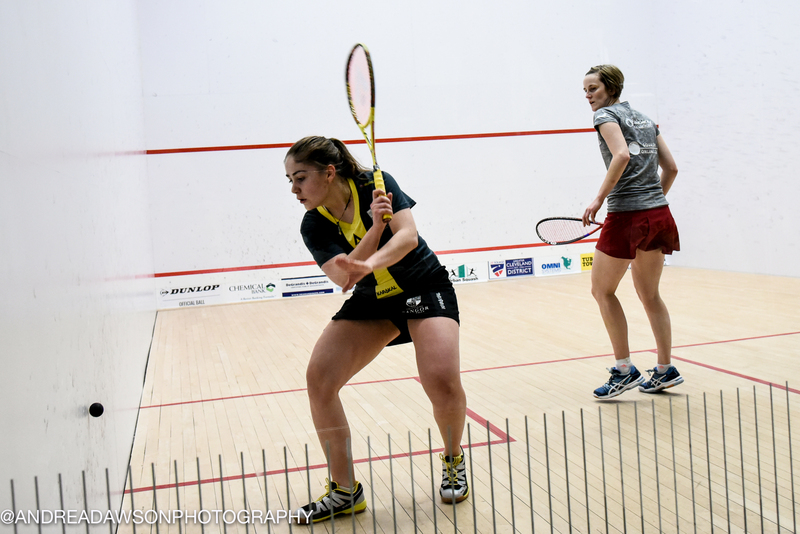 Article by DONNA HELMER (England Squash). Edited by ALAN THATCHER.